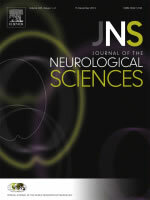 The Journal of the Neurological Sciences (JNS) is a broad-based journal which publishes articles from a wide spectrum of disciplines, ranging from basic neuroscience to clinical cases. We would like to acknowledge our peer reviewers. This elite group of individuals from around the world includes some of the best and brightest minds in neuroscience and clinical neurology. They receive no remuneration for their work for the journal and take time from their busy schedules to review our articles. All of the Associate Editors and I thank them for their indispensable work. The journal would not survive without their expert advice. I express my most sincere gratitude to all of the reviewers. They inform and enlighten all of us in the Editorial office and help to make JNS a journal of the highest quality. In our ongoing attempt to enhance accessibility of JNS articles to members of the World Federation of Neurology (WFN), we select “free-access” articles for open access. Elderly and forgetful with transient neurological spells: A story of two amyloids? Tumefactive multiple sclerosis and hepatitis C virus 2a/2C infection: Dual benefit of long-term interferon beta-1a therapy? ALS-Plus — Where does it begin, where does it end? IVIg in the chronic management of myasthenia gravis: Is it enough for your money?